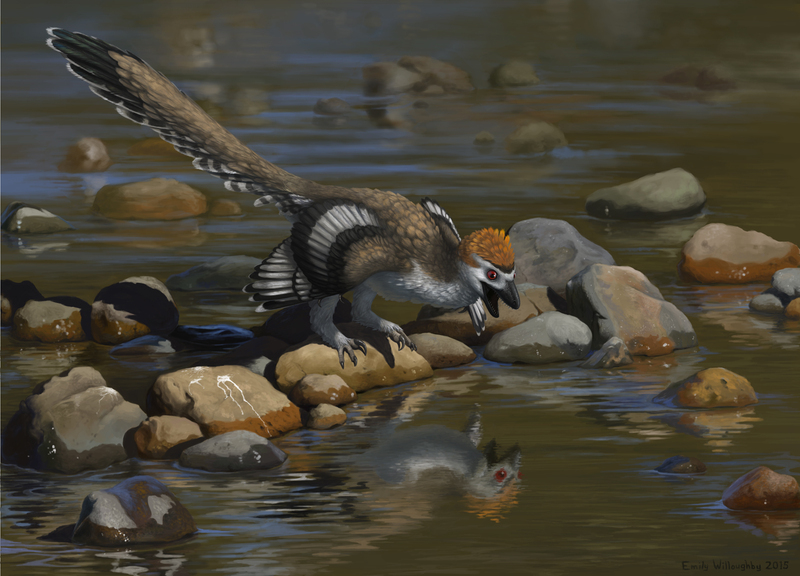 The month kicked off with Brussatte et al's response to the Ornithoscelida paper from this spring. What this team has found? Basically, we don't know what dinosaur phylogeny in the broadest scale looks like. It's equally plausible that any of our current models are correct. At the base of the tree, we're dealing with a bunch of similar, hard-to-distinguish Triassic critters, and we need more of them to resolve the issue of what the tree looks like up in the limbs and branches. Read more at Live Science. 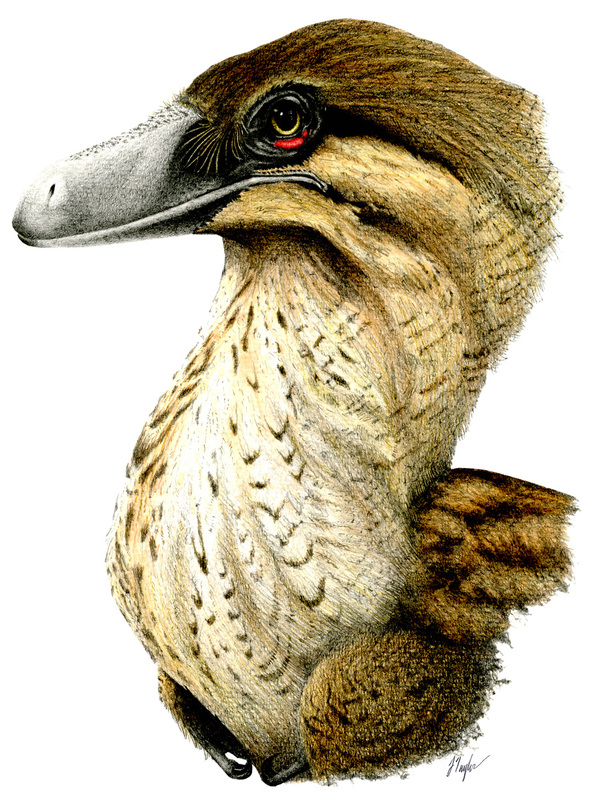 The newest look of Anchiornis, illustrated by Rebecca Gelernter and distributed with press materials by the University of Bristol. 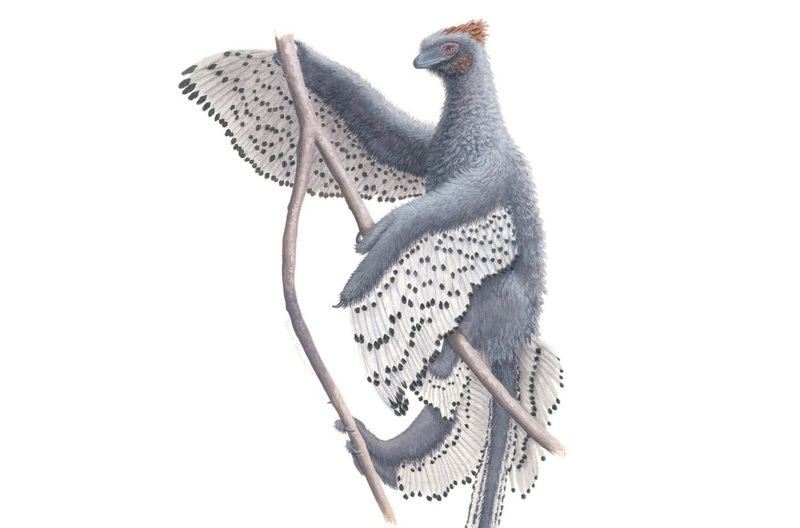 Anchiornis has been revised yet again, this time with details of its totally weird feathers. It sported totally weird V-shaped plumaceous feathers and its totally weird wing surfaces were made of multiple rows of feathers whose barbs were not tightly zipped together the way those of modern birds are. Read more from the Inverse, Phys Org, and Live Science. New research describes the post-apocalyptic world of the early Paleogene. Read more at Gizmodo. Also looking at that post-Mesozoic world, a new paper demonstrates a shift from nocturnal to diurnal lifestyles among Post-K/Pg mammals. Read more from UCL. Can we infer body mass from ichnological traces? New research using sauropod tracks from Copper Ridge aims to do just that. Read more from David Moscato, writing for Earth Magazine. Do you lek it like that? Seems some Jurassic theropods did. Read more from Brian Switek at Laelaps. Andy Farke speaks out for Grand Staircase-Escalante National Monument at the SVP blog. Hopefully, you've had a chance to read Asher's insightful interview with Mark Witton from a couple days ago. 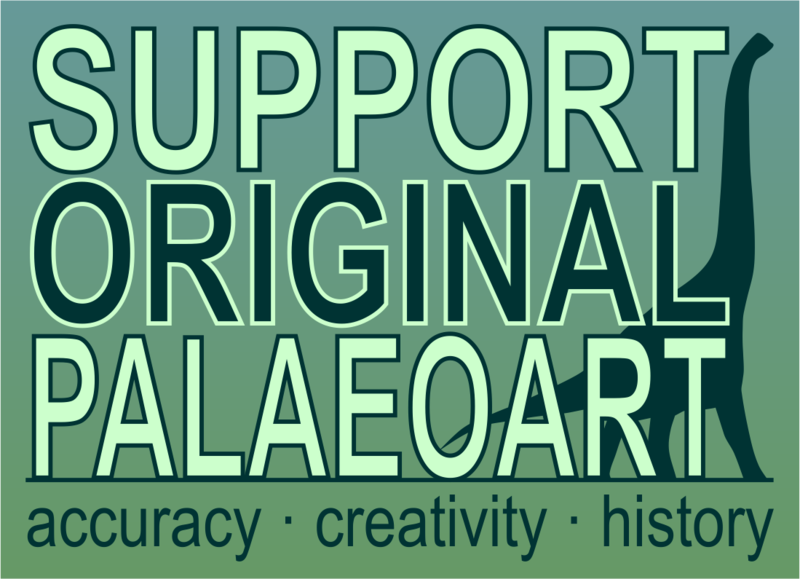 Be sure to also read his recent piece for the Atlantic, which used the publication of Dinosaur Art II and Taschen's Paleoart to examine the history, present, and future of paleoart. Which taxa were crowned the top ten open access fossils of 2017? Let's just say the fish lobby really stepped up. Read the list at PLoS. At the Celestial Troodon blog, Midiaou Diallo shares his thoughts about the recent Sinosauropteryx paper. Venturing out of the Mesozoic, Zach Miller has a wonderful post on borophagine dogs, specifically Aelurodon, as he was able to procure a nice cast of the holotype fossil in the SVP silent auction this year. 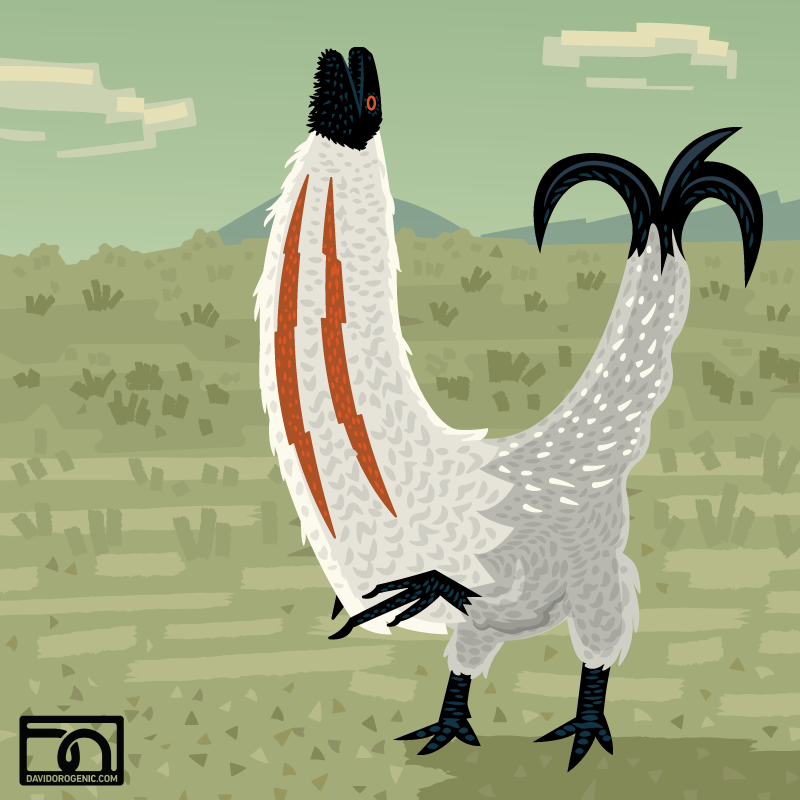 Victoria Arbour traveled to spain for the Dinosaurios 2.0 conference, and writes about her experiences at Pseudoplocephalus. Writing for the Guardian, Brian Switek muses about a world in which the KT event didn't happen. Liz Martin-Silverstone wraps up her series of 150 cool facts about Canadian palaeontology at Musings of a Clumsy Palaeontologist. Are you aware of the "birds are not dinosaurs" crowd, but perhaps not completely clear on their arguments? Well, Darren Naish has written a post at TetZoo that will be a huge help to you. One thing I didn't realize about the BANDits is that "they’ve – I think unwittingly – moulded themselves into a distinct social group, even going so far as wearing special badges at conferences." Wow. Matt Wedel loves Xenoposeidon and it's honestly extremely adorable. Darren also discusses the last ten years of Xenoposeidon in the literature at TetZoo. May I suggest smashing this link to our annual dinosaur gift guide? One thing I missed and probably would have included in the guide is Mark Hallett's 2018 calendar. Thanks to Matt Wedel for calling attention to it at SV-POW! PBS's Eons covers feathered dinosaurs in its latest episode. 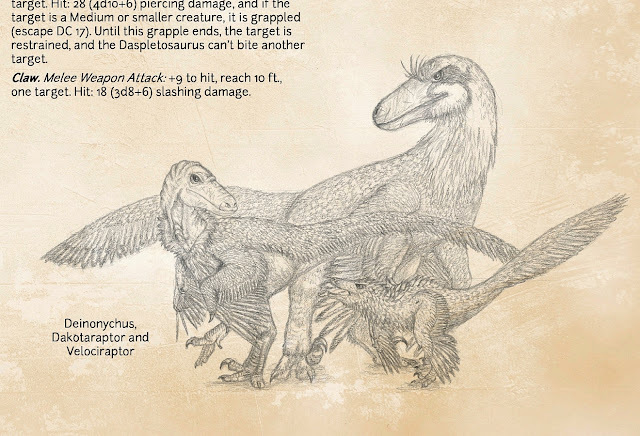 But why oh why did they use Damned Dromaeosaurs for some of the art? The Saurian team previews their latest patch. Can't wait to play it! I'll need a new PC, but I'm patient, and they're continually working to improve gameplay. Brian Engh showed just how much TLC goes into each of his pieces in a recent video condensing an hour of his process down to about a minute. In the podcast world, Tyrannosauroidea Central's Thomas Carr shares a series of YouTube interviews he sat for with Arsen Kazaryen, and The I Know Dino crew caught up with Dr. Michael Habib recently. Help Annalisa Berta and Susan Turner, writers of the upcoming book Bone Hunters: A History of Women in Vertebrate Paleontology, head to SVP 2018 to conduct video interviews related to the project. Donate at GoFundMe. If you're into dinosaur art that's on the silly, pulpy side, check out the Kickstarter campaign for Charlie Chiodo's book of dinosaur illustrations. This month inspired by a post on Facebook about how tyrannosaurs might best down an ankylosaur, I'm featuring Thai artist Nattawut Wongta's recent piece depicting T. rex victorious over an Ankylosaurus. Love the look in the tyrant's eye. Check out more of Wongta's work at DeviantArt. 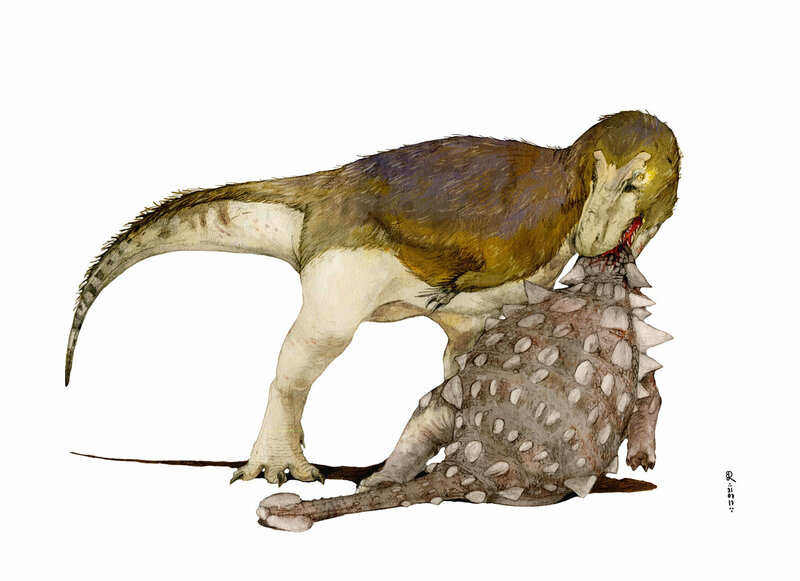 Tyrannosaurus and Ankylosaurus illustration by Nattawut Wongta, used here with the artist's permission. In discussing modern paleoart, I did what anybody would do and talked to Dr. Mark Witton about theories and best practices. Only a little bit of that conversation made it into the piece--it's a thing that happens, what with editors and such--but I liked the conversation enough I asked Mark if we could run it here, to which he graciously assented. He's got very interesting stuff to say after the jump! Last week, fanpersons all over the world were sent into a tizzy by a precious few seconds of footage from next year's Jurassic World sequel. In it, hunk-o-saurus Chris Pratt appeared to be acquainting himself with some sort of slightly unconvincing-looking, bug-eyed, lizardlike CG creature. 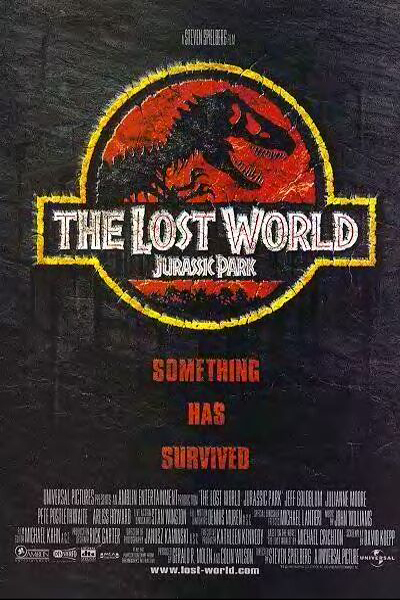 It got me thinking about an idea that I had earlier this year, but rejected 'cos it seemed way too predictable and slightly tiresome - a retrospective on the first JP movie sequel, The Lost World, which was released 20 years ago this year. You never know - it might be more fun than trashing San Diego and eating the family dog. As if you need any further reasons to attend TetZooCon, here's one more. A couple of years ago I ran into a fellow in the post-TZC-pub with a folder full of his own dinosaur drawings. Natee and I had a look, and were suitably impressed; there was room for improvement, but it was a very solid foundation. Two years later, and the same bloke - Jed Taylor - approached me again in the pub. And this time, I was blown away. His dromaeosaurs are among the best I've ever seen, but it doesn't stop there; he's illustrated a plethora of dinosaurs in a gorgeous, naturalistic style that's very much in the post-Paulian (sorry again), Floof Revolution mould. Even Andrea Cau's heaped praise on his work, and he's very hard to please. I asked Jed if he could write about his work for the blog, and he supplied the following very many lovely words, which it felt quite criminal to edit down. It may be a little 'TL;DR' for some, but it wasn't for me. Enjoy. Jed's gorgeous Acheroraptor portrait. All art © Jed Taylor, used with permission. 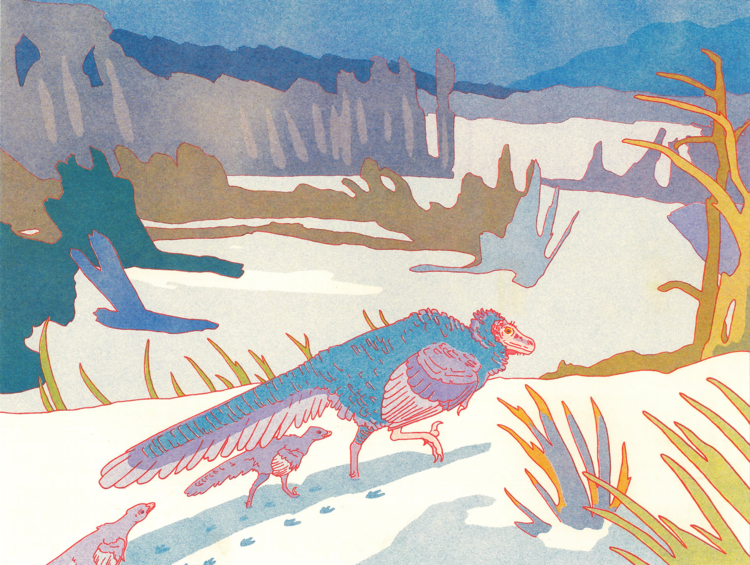 It's time again for our yearly dinosaur gift guide, a fine tradition in its fourth year. As usual, I encourage you to check out all of the past editions (2014, 2015 and 2016) as well, since most listings are still active and we've featured so many cool products, most from independent artists and small companies. It is always difficult to keep this post concise, and this year we have had so many cool and creative things put out in the world by the paleo-enthusiast community. Let's jump in! Titan Books' Dinosaur Art II repeats the winning formula of the original Dinosaur Art, but focuses on some of today's finest paleoartists. The title received a glowing review from Marc in this space, so if you need to be convinced, read that, and then order a copy here! 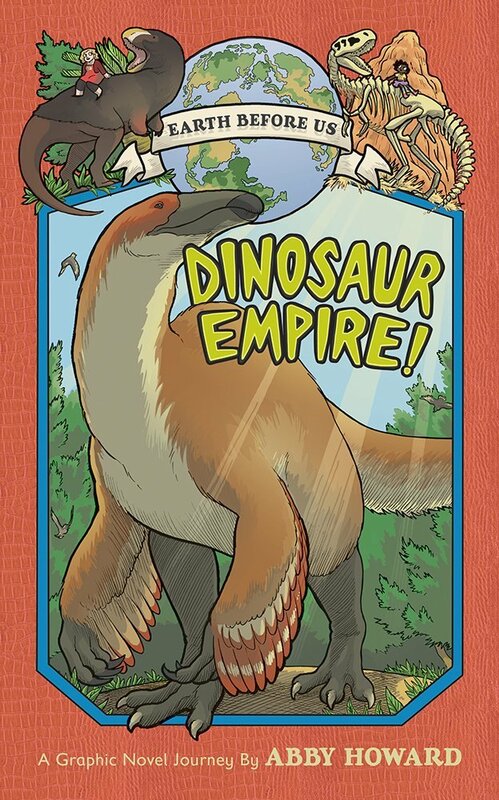 I heaped praise upon Abby Howard's wonderful Dinosaur Empire in August. This is an essential part of any dinosaur book collection, but if you're specifically looking for something for a dinosaur enthusiast in elementary school, this is absolutely perfect. It's available from Abrams books. Victoria Arbour chimed in with this adorable book when I asked the LITC team for suggestions. Darteville has a really fun, engaging style that's full of personality. Each copy comes with a set of stickers, too! Pick your copy up from Gumroad. Another good title for a young prehistory fan is this one by Maja Säfström. 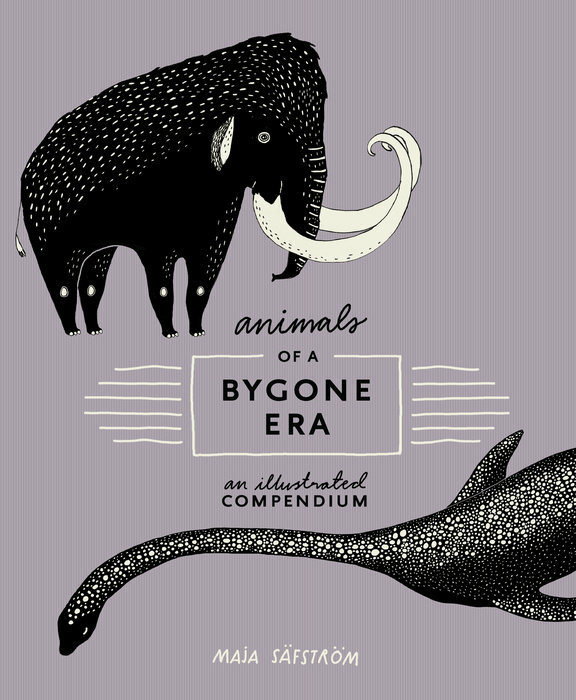 Don't let the wonderfully fanciful illustrations fool you: this book digs deep and introduces readers to some seriously obscure critters. We also reviewed this one this year. Pick it up from Penguin Random House. After a wildly successful Kickstarter campaign, the Beasts of the Mesozoic series of poseable raptor figures are almost here. My personal favorite is the Dromaeosaurus, pictured above. You can pick them up via Backerkit! I asked Marc Vincent for a recommendation for dinosaur figures to include and he immediately suggested anything in Wild Safari's 2017 collection. When I saw them I was pretty stunned. They're wonderful all around, and although I'm no collector, there are a few here I'd love to acquire - especially that Deinocheirus, Velociraptor, and Diplodocus. You can purchase them from Safari LTD, but unfortunately the 2017 models aren't all collected on one page. I'd suggest browsing the set at the Dinosaur Toy Blog and then searching the Safari site for the one you want. 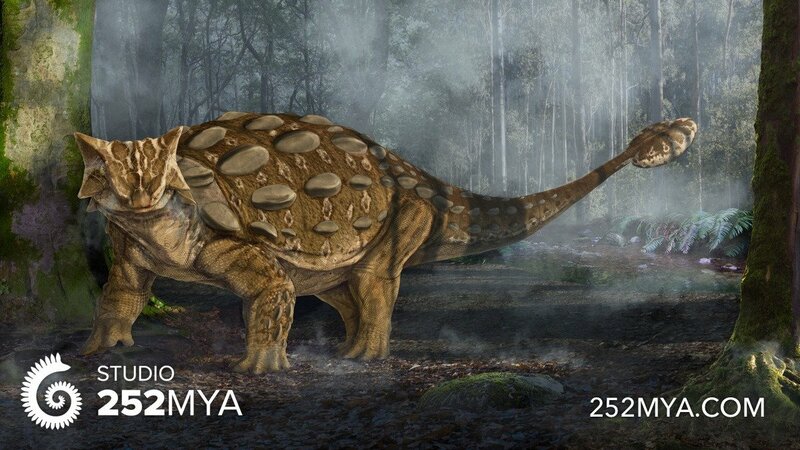 The launch of Studio 252 MYA about a year ago filled a huge on-line need for enthusiasts of prehistory: an easy-to-use, well-designed shop to pick up all manner of paleoart merch, from tees to prints to mugs. I could probably just fill this entire post with products from their roster of artists. Instead, I'll feature Fabrizio De Rossi's beautiful Ankylosaurus print and suggest you spend some time browsing the entire site. 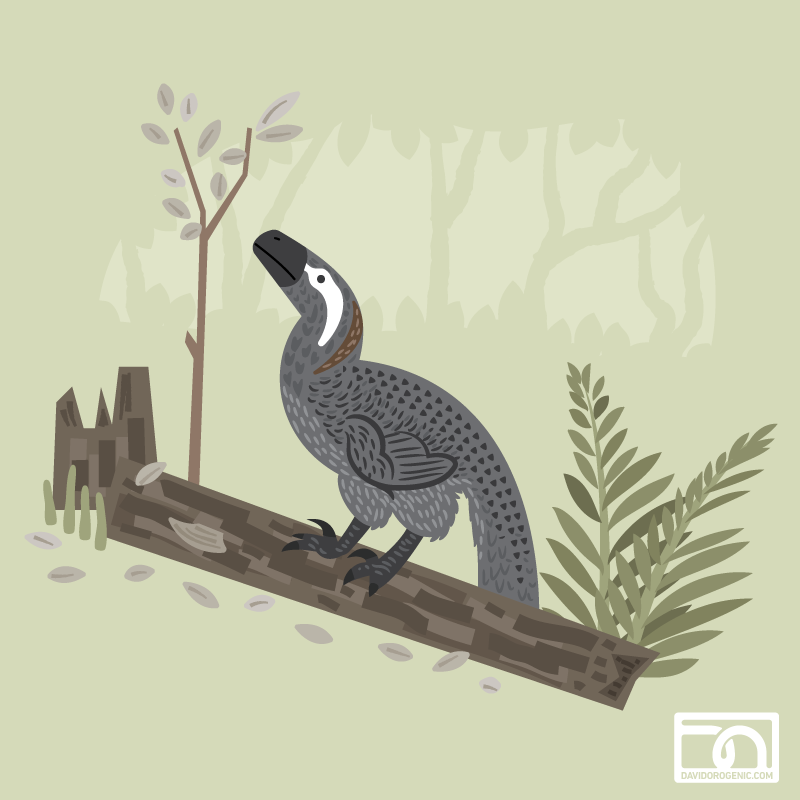 Mary Sanche, who runs the Redbubble shop Thoughts up North, has created a series of prints featuring themed groupings of mesozoic fauna, each in their own color tint. They'd look fantastic as a set!. Check out her Theropods, Pterosaurs, Ceratopsians, and Marine Reptiles, pictured above. Emily Willoughby has no shortage of beautiful artwork to choose from, but I wanted to feature one of my all-time favorites in this guide: her Zhenyuanlong . 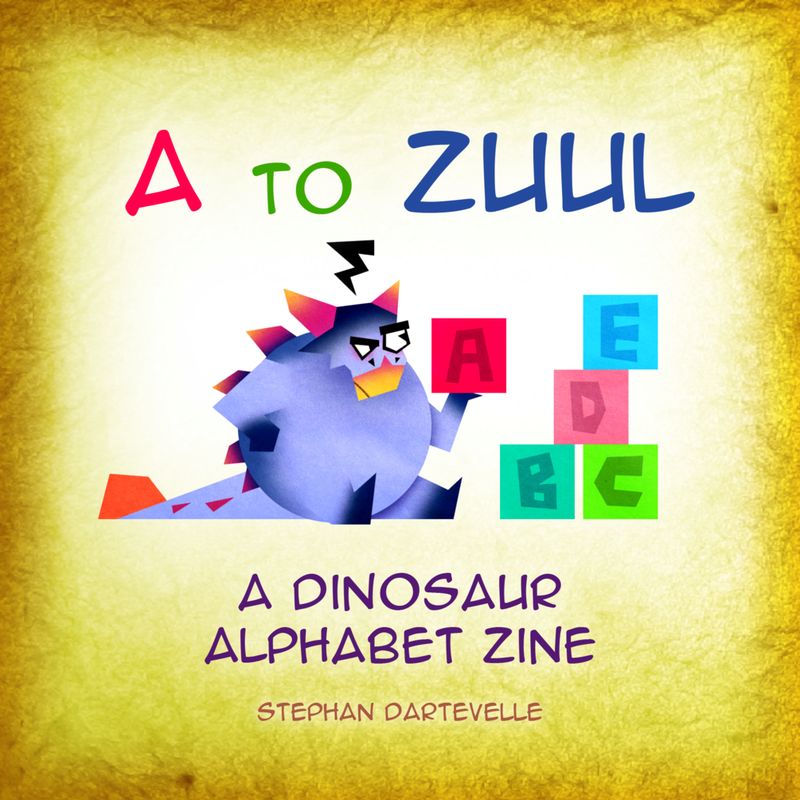 Pick it up in a variety of formats at Zazzle. Levi Hastings has a way of distilling prehistoric beasts down to their most essential forms and playing with rhythmic elements of anatomy that is really satisfying to me. Add in a knack for finding unique color palettes and you've got paleoart that looks beautiful hanging just about anywhere. 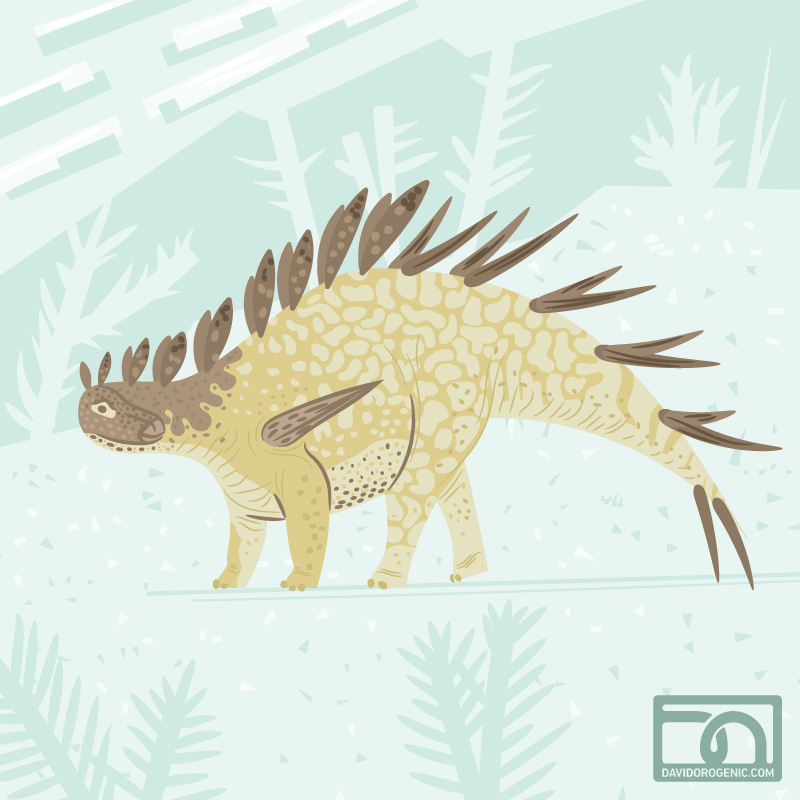 Find his Strutting Stegosaurus on Society 6 (incidentally, I really love the paper Society 6 uses for their art prints - you'd swear it was an original watercolor). Greer Stothers' ceratopsian enamel pins are awesome, so you should definitely buy a set of those, but I also wanted to feature her risograph prints, which feature really cool color palettes and lovely, minimalist compositions. I love the Saurornitholestes above, but there are more awesome ones to choose from in her shop. 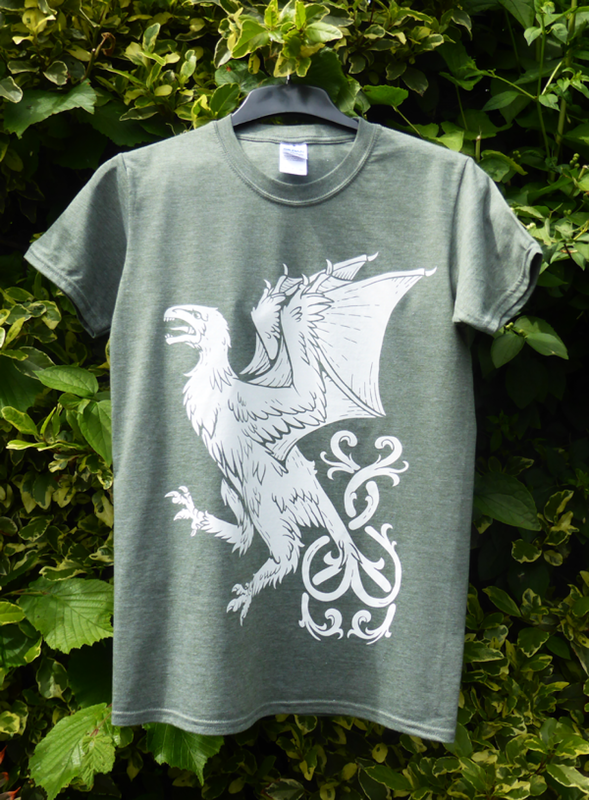 I'm a fan of heraldic designs featuring prehistoric animals, so Rebecca Groom's tees make me giddy. Her Yi qi is pictured above, and she's also got a Velociraptor design. The black tee with a white design is a staple of my wardrobe, but now that my cherished short-faced bear tee from the Field Museum looks like it was used for target practice, I need another for the mix. 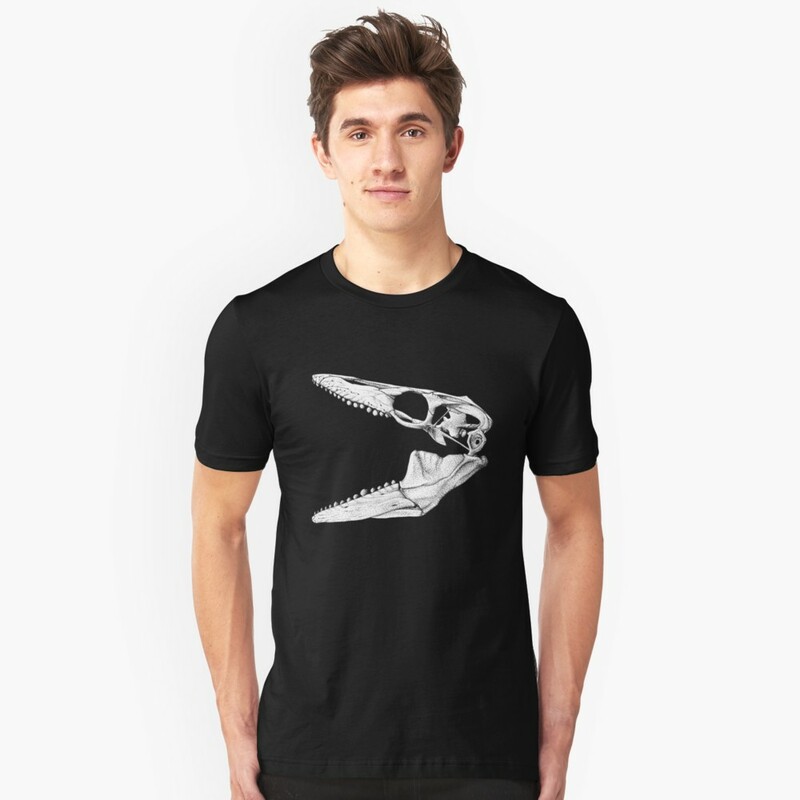 Jaime Headden's terrific Globidens skull tee fits the bill perfectly, so on my list it goes! This is just a great idea, executed well. 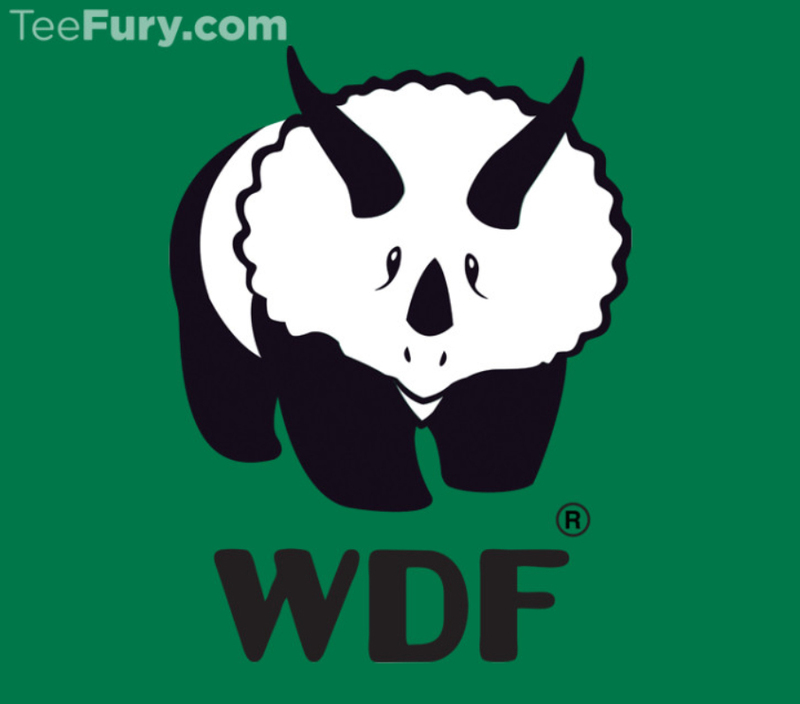 Available on tees and hoodies from TeeFury. 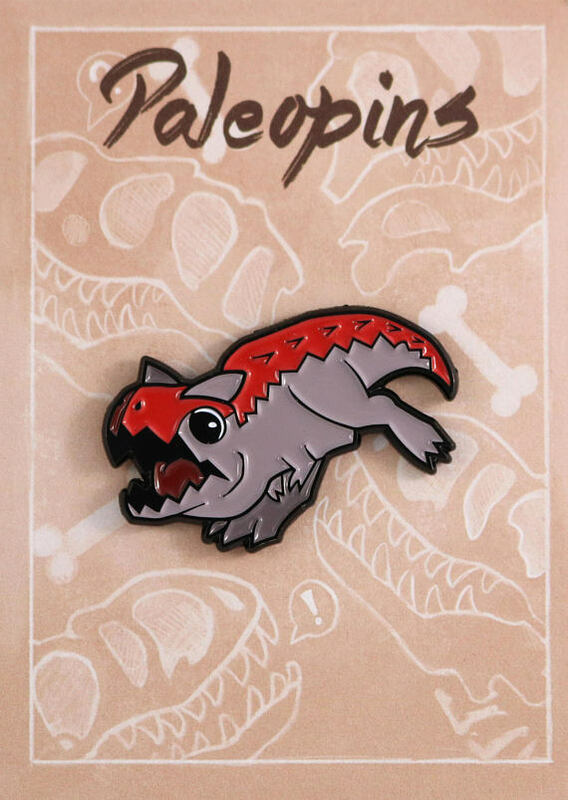 Angela Radick creates super cute prehistoric enamel pins, and has funded a couple sets with successful crowdfunding campaigns. To browse her current selection, head to the PaleoPins Etsy shop. I'm especially fond of the chompy Carnotaurus above. That's a wrap for this year's guide! Of course, this is just a small selection of what's out there. So feel free to share your favorite gift ideas in the comments, too. Believe it or not, I'm not familiar at all with Dungeons & Dragons. Of course I know what it is, and that there's a Dungeon Master overseeing things and lots of high fantasy and dice and such, but not much more than that. It's just not something that I've really been exposed to (if you'll forgive the use of a word that makes it sound slightly unseemly). So, I was intrigued when we were contacted by Ralph Stickley, who's produced a bestiary entitled Terrible Lizards, with the laudable aim of bringing up-to-date dinosaurs to the game. I try not to use LITC as a way to just share a ton of my work, but I'm in the mood to at the moment, so you'll just have to bear with me. This spring I did a couple of feathered theropods, and looking back at them I'm still rather pleased with the style. I find that I'm finally to the point where I generally like things I create more than I dislike them. That feels like some sort of milestone. So I decided to draw a stegosaur, because I don't often (ever) do that. But I couldn't just pick Stegosaurus because that's a little obvious. So I went with good ol' Kentrosaurus instead. Anyhow, I won't keep you too long. 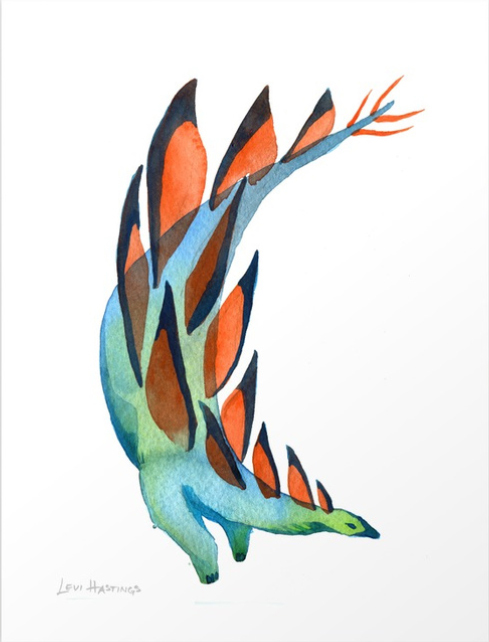 If you're fond of these and would like to support some independent art on this fine day, feel free to check these out in my Redbubble shop's Paleoillustration section. Even though it's a mouthful, I like "paleoillustration" as a term for this kind of thing - less baggage than "paleoart." Feels like it affords more wiggle room for whimsy. 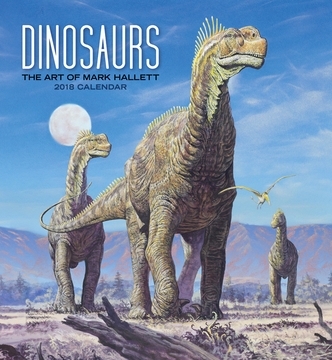 You may find it difficult to believe (or just unsettling to contemplate), but it's been five years since the publication of the original Dinosaur Art, that gorgeous-looking coffee table compendium of "The World's Greatest Palaeoart". 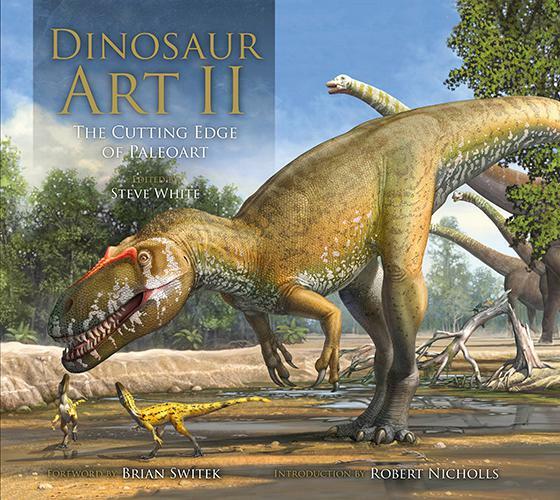 Five years is a long time in the world of scientifically-informed life reconstructions of prehistoric animals, and so now editor Steve White and Titan Books are back with Dinosaur Art II: The Cutting Edge of Palaeoart. Is it just more of the same? Well, not quite; there aren't too many surprises, and the format remains largely unchanged, but there is a little more stylistic variation than before, including a breakout into the world of model sculpting. What's perhaps most telling is how DA2 brings the series into the post-Paulian age. Dodgy photo from my sofa.